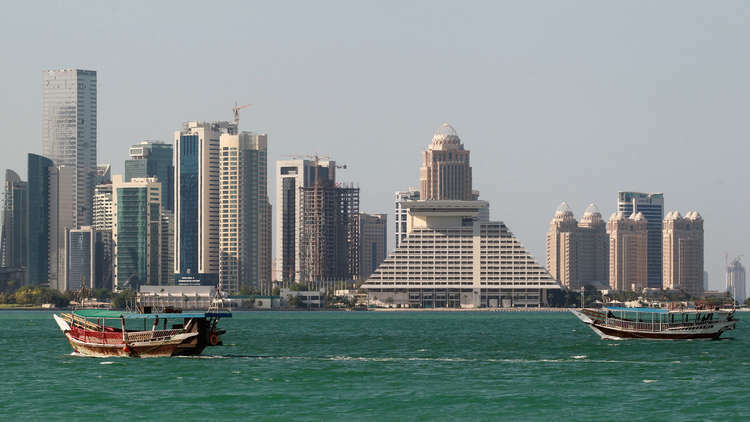 Qatar's cabinet announced on Wednesday that it was taking steps to pass a bill allowing foreigners to be granted permanent residence permits in Qatar. Qatar's Minister of Justice and Acting Minister of State for Cabinet Affairs Hassan al-Muhannadi said in a statement quoted by Qatar's official QNA agency that the government considered during its session today "taking the necessary measures to issue a draft law on permanent residence card, On the recommendation of the Shura Council on the draft law. "Under the terms of the project, a permanent committee will be established in the Ministry of the Interior, called the Permanent Residence Card Grant Committee, which will consider applications for permanent residency cards for a specified number of persons who meet the conditions specified in the law. Referred to". "The permanent resident card holder may receive treatment and education in government institutions and other privileges (which were limited to Qatari nationals only), in accordance with the terms and conditions prescribed by a decision of the Council of Ministers." Last Monday, the Shura Council approved the draft law granting permanent residency to residents in Qatar and decided to forward its recommendations to the government after discussing the report of the Committee on Internal and External Affairs. The draft law stipulates that, by decision of the Minister of the Interior, the card may be granted to Qataris married to non-Qatari nationals, as well as to those who have performed great services to the State and to the special competencies Qatar needs. According to official figures released by the government earlier this year, more than 2 million expatriates live on the territory of Qatar, with 313,000 citizens in the country.